Ski-hub is a travel agency that serves the huge ski and snowboard industry. As well as a personal and friendly booking service, Ski-hub offers its visitors a wealth of advice and information covering the whole of the ski industry from ski servicing and gear advice to ski related news. Ski-hub was created by two snow sports enthusiasts in 2014, who between them have over 15 years experience in the industry! The Company Warehouse has worked closely with Ski-hub in the development of their company, including the handling of the business accounts and the creation of two bespoke websites. While working with Ski-hub The Company Warehouse has designed and developed two websites, (having also registered both domain names) one for Ski-hub itself and one for sister-company Sun-hub. As opposed to Ski-hub, Sun-hub is a summer holiday travel agency that focuses on mountain and lake summer holidays. The Company Warehouse designed and developed the Ski-hub website to accurately reflect the fun and friendly personality of the Ski-hub creators. The website had to incorporate the travel agency's booking system while still allowing the customer to jump to and from Holiday Type, Resort, Location and Accommodation with ease. The Ski-hub website also has a handy search function allowing the visitor to search and create their perfect ski holiday within the site. 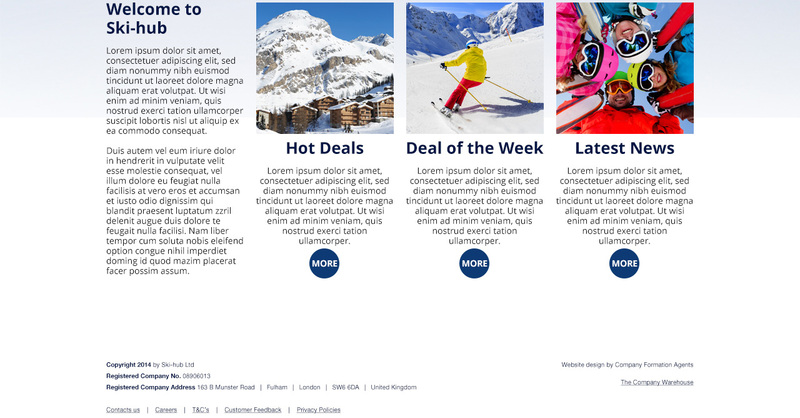 We also developed a Content Management System that meant that the Ski-hub owners could make changes and update their site themselves. Ski-hub expanded their horizons with the creation of sister company Sun-hub. Channelling their expertise into summer holidays meant that the company then needed a new website that was in keeping with the original brand but still stood out as a unique service. We created a website for Sun-hub that utilised a completely different colour palette but had the same overall appearance and feel. Sun hub also operated on the same booking system, making it easy for clients to use both services. In keeping with the overall branding of the company, The Company Warehouse created personalised business emails for Ski-hub so that they could appear professional and carry their brand name across all aspects of their business. 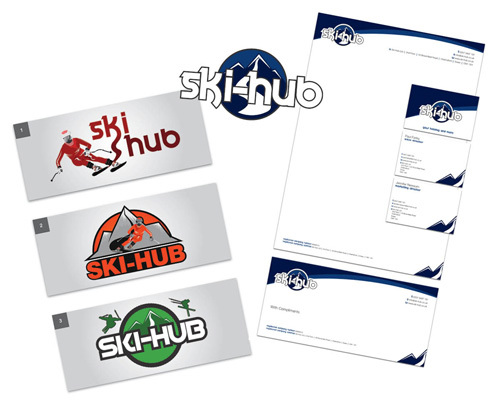 The brand identity also extended to the creation of professional Ski-hub stationary. Ski-hub Ltd is now an ongoing client of The Company Warehouse having decided to utilise our business accounting services. 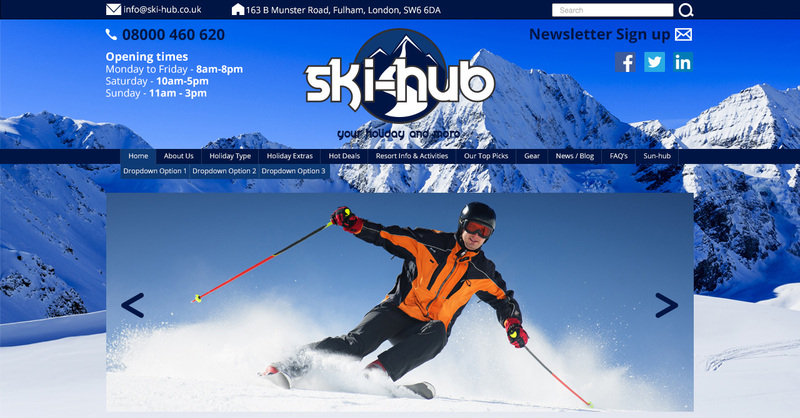 Ski-hub uses The Company Warehouse's startup bookkeeping and accountancy software which has been specifically designed to meet the needs of UK startup businesses. This means that, among many other factors, we provide Ski-hub with accountancy services such as the filing of accounts at Companies House, the preparation and filing of annual returns and the production of quarterly VAT returns. We not only help Ski-hub with their regular accountancy needs but have also provided one off services such as the calculation of tax returns or the preparation of financial accounts.